Because the Alfa engine is fuel injected, I have to create a return line. 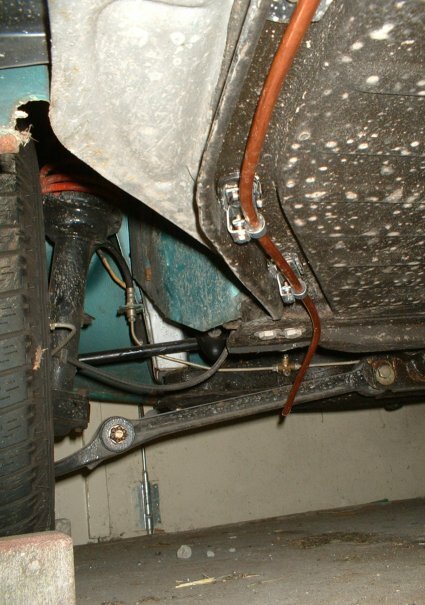 But because the old fuel line isn’t all to good anyomore (rusty at the ends) and it’s 6 mm (the Alfa has 8 mm), I decided to place two new 8 mm fuel lines. 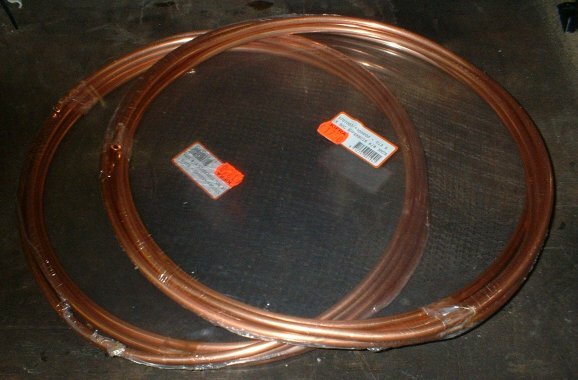 The original fuel line (through the tunnel) won’t be used anymore. I plan on placing the lines under the car, but haven’t decided yet if it will be under the central tunnel or under the heater-channel on the passenger side. 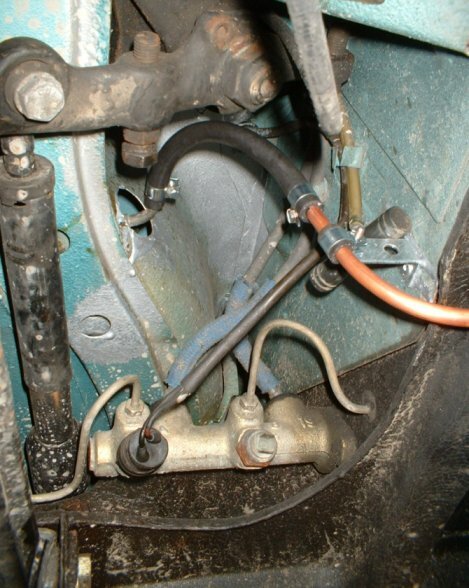 edit 09-07-2006: I decided to place the fuel line under the heater channel. There the line is better hidden. But, I can only place one line there, because of the limited room. I am placing the return line on the drivers-side and the feed-line under the passengers side. I started with the return-line. 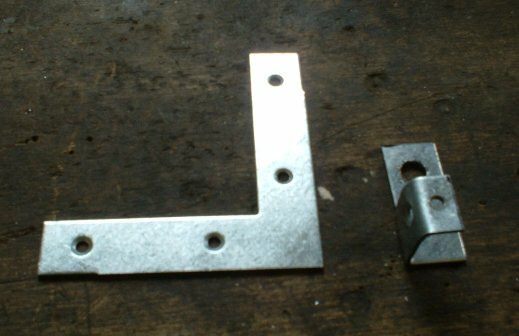 Angled iron on the left, the finished bracket on the right. 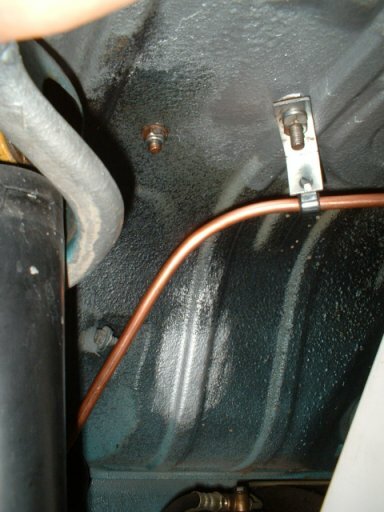 I put a small piece of 8 mm rubber fuel line around the copper fuel line, and around that I put the clamp, which is a normal clamp to attach rubber fuel lines to hard fuel lines. I still have to bend the end upwards, but I will do that when I know how I’m gonna return it to the fuel-tank. From there is goes to the other side of the car. 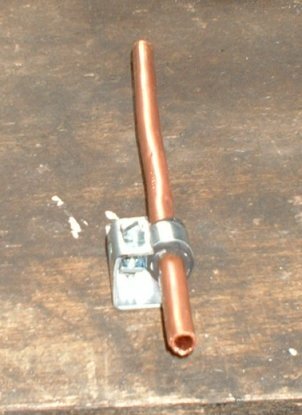 But that is another piece I made which is attached to this line with a piece of rubber fuel line (not in the picture). The attachment point on the engine is on the right side. I like it…. 🙂 … it’s a little bit high in the back, I was surprised to notice that. 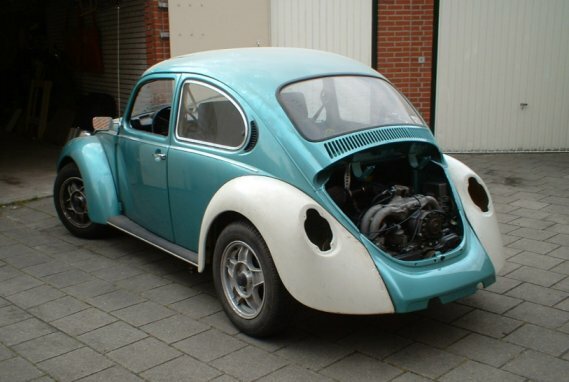 I thought the extra weight of the engine would make it lower in ther back… Maybe it’s because the water isn’t in it and the exhaust and rear decklid isn’t on it. But apperently removing the bumper and using fiber glass fenders makes quite a big difference. edit 08-08-2006:Connected the fuel pump to the feed line. 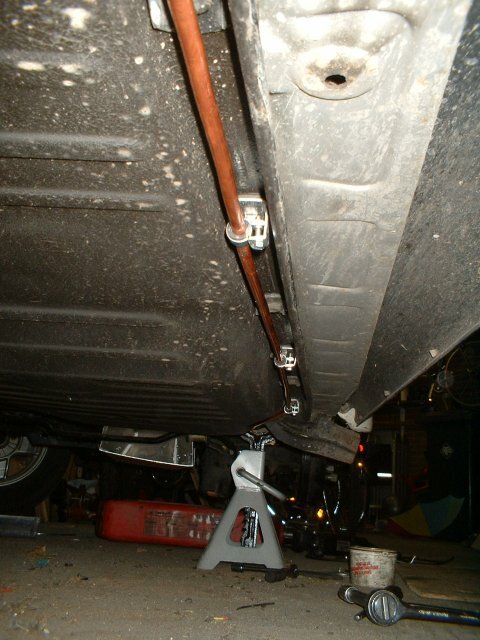 I had to make a bracket to support the copper fuel line as it goes up towards the fuel pump.